Join us to Honor and Celebrate! 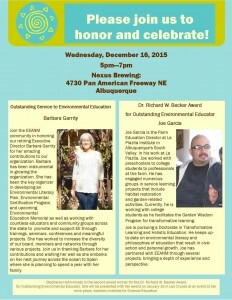 Join us in celebrating Barbara Garrity’s retirement after 8 1/2 years as our Executive Director! She has been selected to receive the Outstanding Service to Environmental Education Award and Joe Garcia and Stephanie Hahn-Amato will receive the Dr. Richard W. Becker Award for Outstanding Environmental Educator. 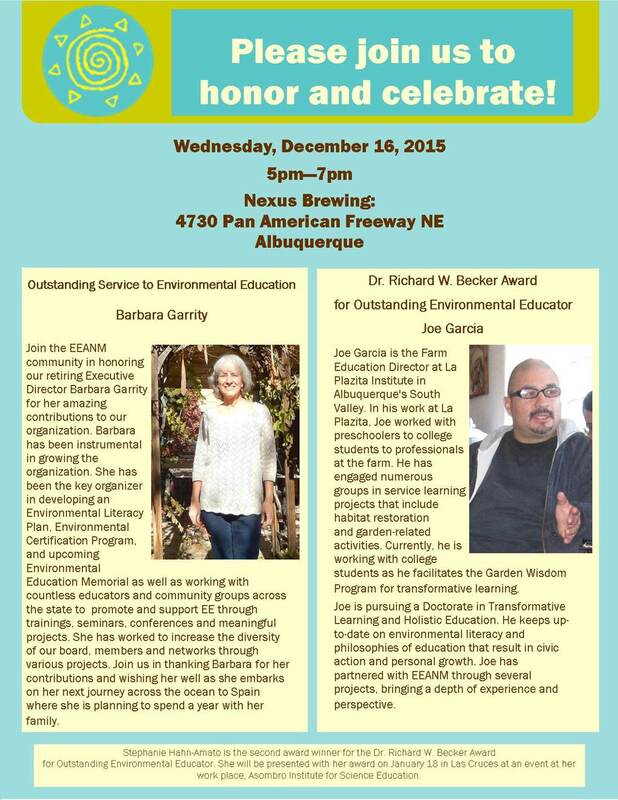 Joe Garcia will receive his award at this gathering and Stephanie Haan-Amato will receive hers on January 18 in Las Cruces.